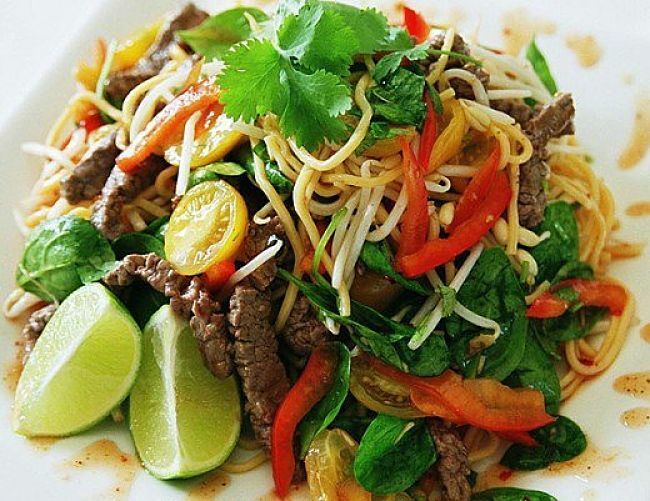 Thai food is a healthy choice when eating out or when buying take-away food as there are plenty of healthy options on the menu with lots of vegetables and herbs. Portion sizes tend to be small and you can forgo the rice. The ingredients are generally are stir-fried so that most of the nutrients are not lost by over-cooking. 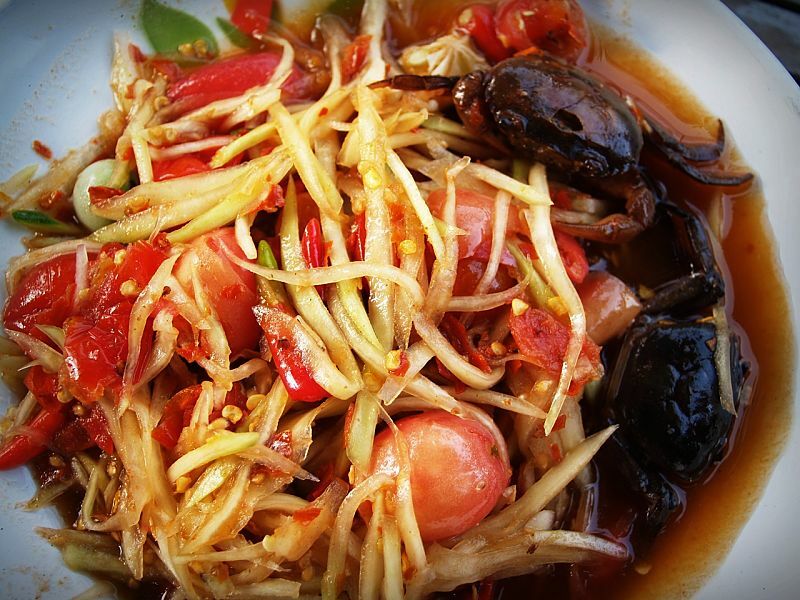 Thai food includes many fresh herbs that add flvor and reduce the need for excess salt. However some of the foods on the menus are high in fat and have high calories. It is worthwhile learning how to identify the lower calorie alternatives and the things to avoid if you are on a diet. 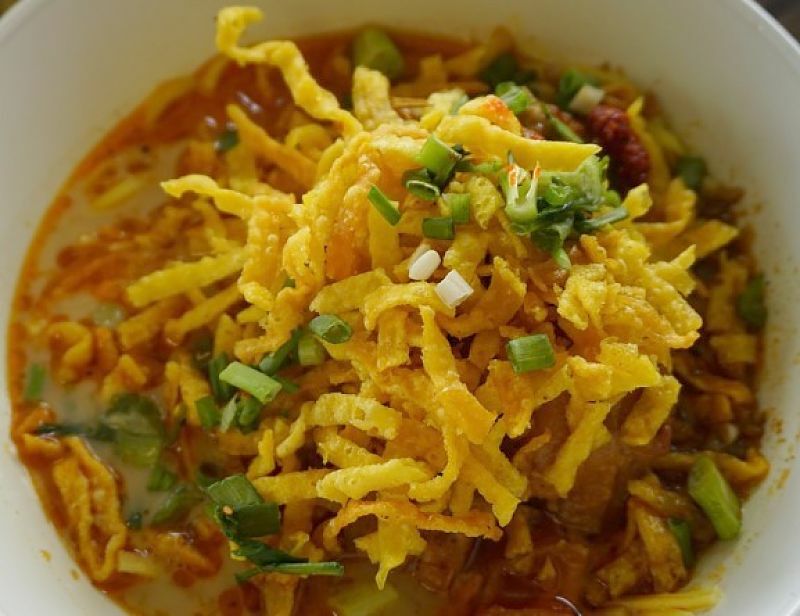 In this review I aim to provide information on healthy low calorie and low fat choices as well as presenting a comprehensive table summarising the calorie and fat content of common Thai dishes. An example of a good choices from the menu would be hot and sour shrimp soup and a stir fried cashew chicken dish Shrimp soup has about 295 calories while the cashew chicken contains 394 calories. Compare this with Mussaman curry, which has about 760 calories and coconut shrimp soup, which contains 528 calories. The latter combination contains nearly twice the calories - add some rice and fried noodles to the soup and this mean could total more than 70% of your total daily allowance of calories ( 2100-2800 calories per day). Pad Thai is a very popular Thai dish that is made up of meat such as chicken or beef, rice noodles, eggs, fresh greens such as green onions, bean sprouts and cilantro, peanuts and a sauce made up of oil, spices, fish sauce and chili. 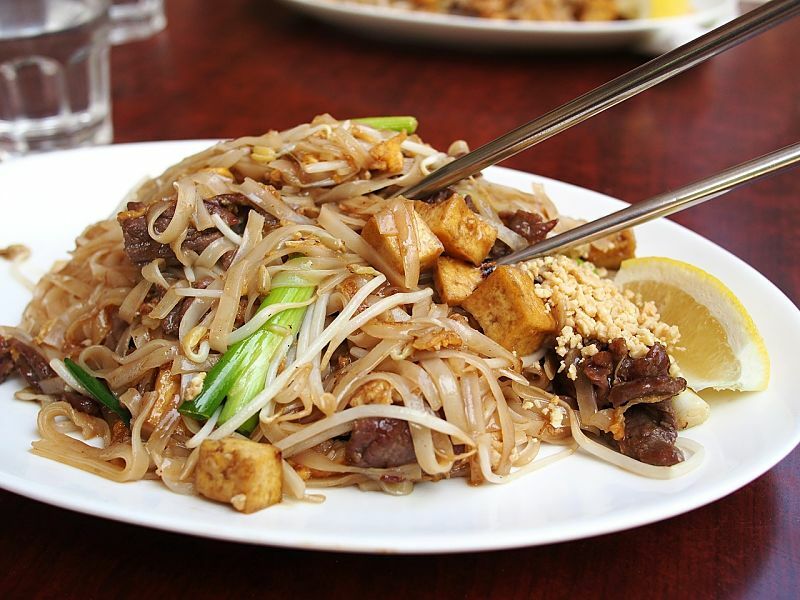 Pad Thai is delicious but is very high in calories, especially if ordered from a restaurant. and can contain about 1,400 calories (about half the daily calorie allowance). The serving sizes are usually large and could easily be two meals. If eating at a restaurant, eat half or share the meal. Pad Thai can be made at home recipes typically only have half the calories of a restaurant meal. 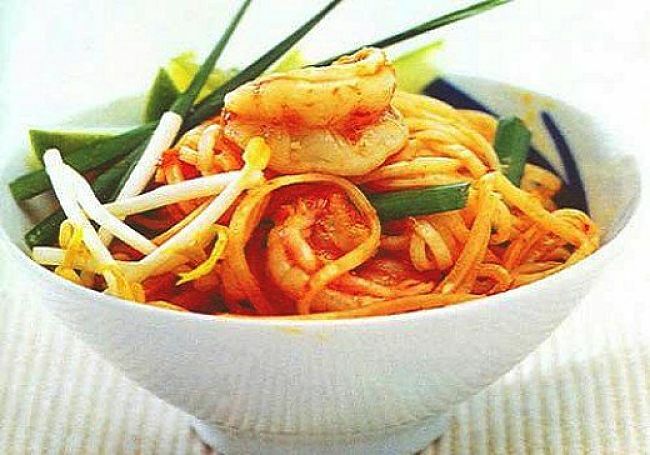 To reduce the calories use less noodles than recommended and add more vegetables. Use low fat beef or chicken breast, shrimp, or tofu. Trim the excess fat off before cooking. Use minimal amount of oil (2 teaspoons) by using a non-stick wok or frying pan. Only eat the recommended serving size for the recipe. Start with a broth-based soup, not one made with coconut milk. Order dishes that are stir-fried, steamed or grilled. Choose dishes that feature lots of vegetables. If you order curry, request one that does not contain potatoes. 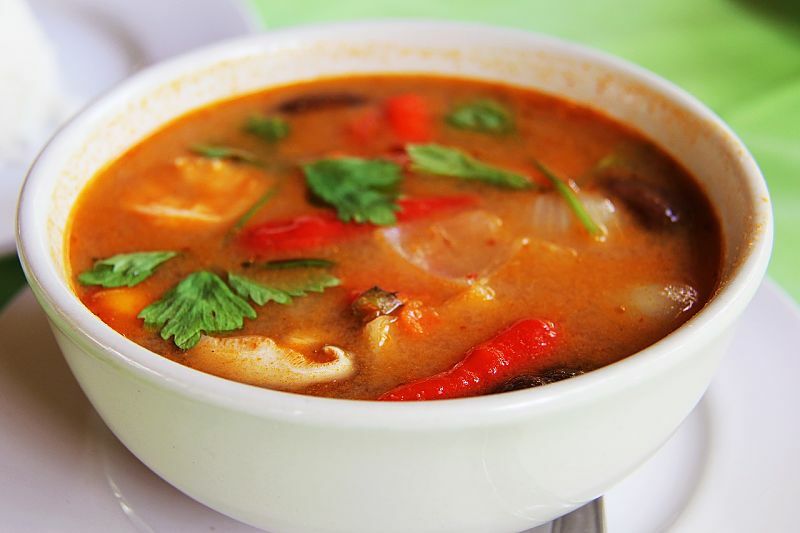 Avoid soups and curries that are loaded with coconut milk (e.g., red curry), and Mussaman curry. 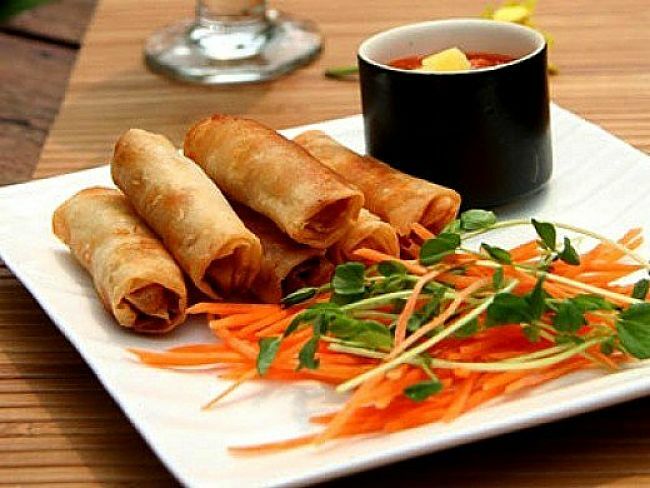 Avoid deep fried dishes such as crispy or deep-fried Thai rolls, hot Thai fish, royal tofu, fried rice, chili or crispy duck. Anything listed on the menu as pad will almost certainly be a noodle dish and generally have lower calories than a curry. Noodles, such as Pad Thai, make a better main meal choice than a curry but asked for low calorie versions. In general, stick to dishes that are quickly sauteed with lemongrass and/or basil, and other aromatic Thai herbs and vegetables. 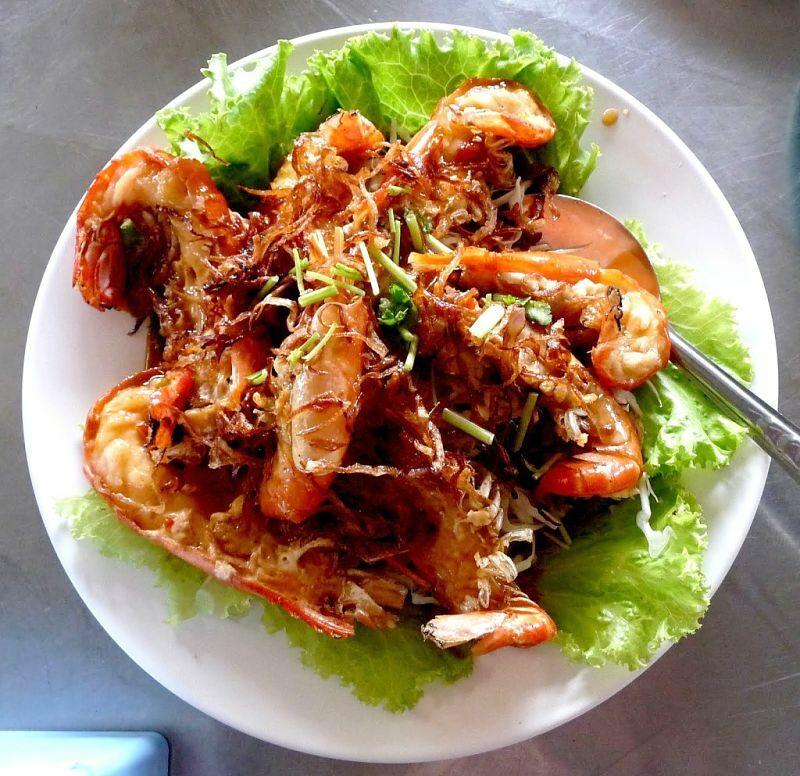 Many Thai dishes use sweet ingredients - oyster sauce, pineapple, sweet-and-sour sauce - which have high calories and should be consumed in moderation. Coconut cream and milk are very popular and widely used ingredients in many savory and sweet dishes, sauces and curries. But these ingredients are high in fat and calories. When ordering rice choose the plain steamed or fragrant rice varieties. A serving of plain boiled rice contains about 375 calories. Compare this with fried rice that generally contains 550 calories and coconut rice about 590 calories. Peanuts are a very popular ingredient for Thai dishes. While peanuts have a low glycaemic index and are generally good for you, they are still high in calories and fat and should be eaten in moderation. Use peanut sauce sparingly. 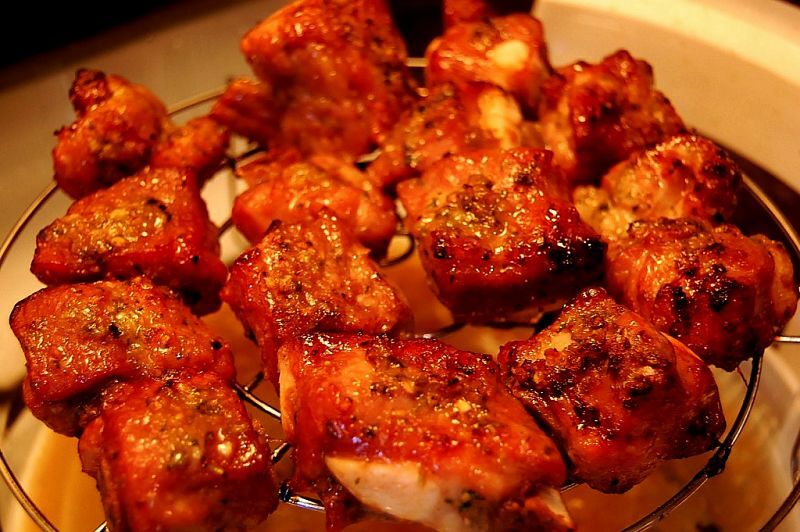 Satay – meat or seafood on skewers – is a common dish and is generally low in calories and is a healthy choice. 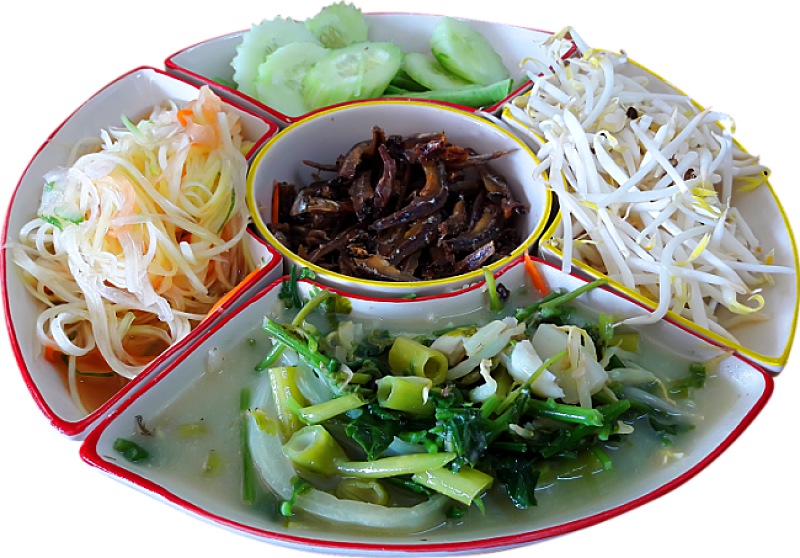 Some other healthy alternative are shown below as well as a list of calories and fat in common Thai dishes.